It's the first case that Professor Layton and Phoenix Wright will solve together. Two of Nintendo's handheld heroes meet on neutral ground - the mysterious medieval town of Labyrinthia. It's a town with its own rules, which may seem strange to us. The townsfolk believe in magic and predetermined fate. You can be prosecuted for being a witch. An odd place, but one in which our two characters can make use of their special talents. Layton and Luke solve puzzles, while Wright and Maya show off their skills in the courtroom. Throughout the story, the boundaries between the pairs and their skills may blur a little, but there's still a clear difference in their respective approaches. It feels like both a Layton and Ace Attorney game. But that blurring of the experiences offers new elements to traditional mechanics. From Ace Attorney, we have the recurring and exaggerated gestures, and of course the pointed index finger; but we've some Layton flair added in. The Professor's hint coins are included as a gameplay aid. These give crucial gameplay tips if we don't know exactly what we need to do (and when) during cross-examinations. On the flip-side, when we enter a new area during our explorations, the game flags if there's any undiscovered coins or puzzles. The simplification and slight merging of the two franchises' mechanics means a better gameplay flow, without spoiling what was good about both in the first place. It feels like a new take on classic concepts. It mightn't be that long ago that we took our last trip with Professor Layton. But then, this Vs. title actually precedes that one, having been available in Japan for over a year and half. Layton's second trilogy only arrived this side of the world a few months ago. 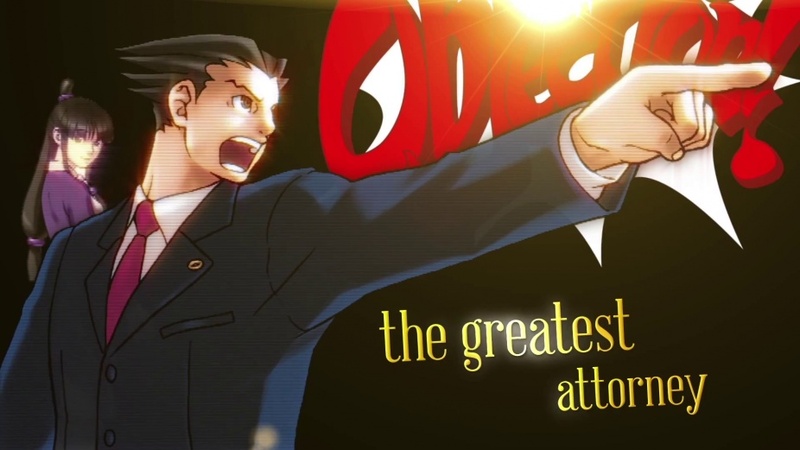 It's the same with Phoenix Wright, who completed his last investigation last year. In a way, this game's a flashback, taking place prior to the endings of either of the respective franchises. What's interesting is that some game mechanics appear to have been developed specifically for this crossover, yet didn't appear in either of the main series entries that came after (such as the new hint systems). The franchises have different art styles. Here, we have a mix of both that work surprisingly well. We've got anime-style cutscenes, great audio, and a well-told story that holds together through the 25 hours it takes us to clock the game. As is common for both series, the story is often funny, occasionally serious, sometimes sad. Since we already have four protagonists, the remaining characters are pushed into the background. Yet that doesn't mean we're left without interesting stories about Labyrinthia and its populace. It's amazing how much depth is instilled into the adventure - the collaboration between Level 5 and Capcom proves a good one. The two teams have managed to mix the spirit of the two series into one great adventure. The unusual setting brings in unusual elements for both games, but also, as a result, makes the experience refreshing from what we've come to expect from Phoenix Wright and Professor Layton games as well. Both games can truly benefit from each other, although we're annoyed to see that both retain their usual weaknesses - some puzzles are badly explained or just poor. Searching for evidence is sometimes illogical. But the bottom line? This is an outstanding adventure that for fans of both franchises (or even newcomers), which offers great entertainment.